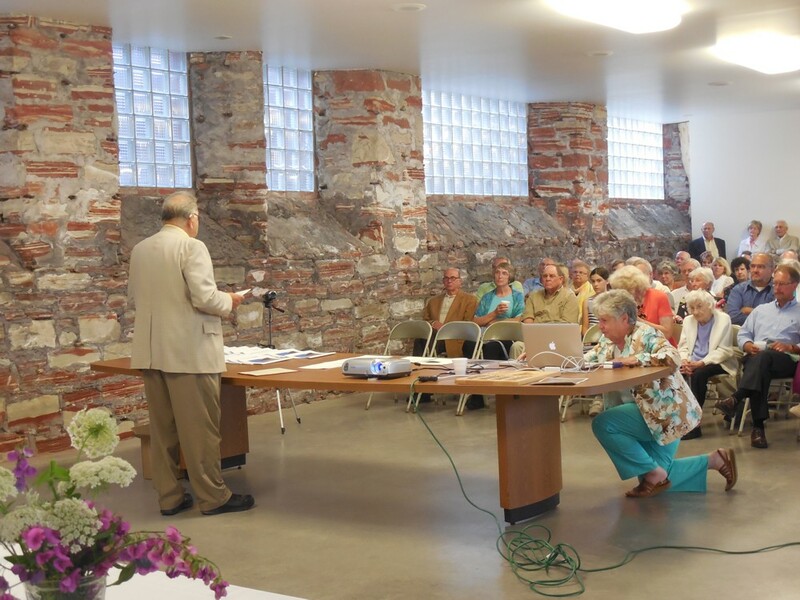 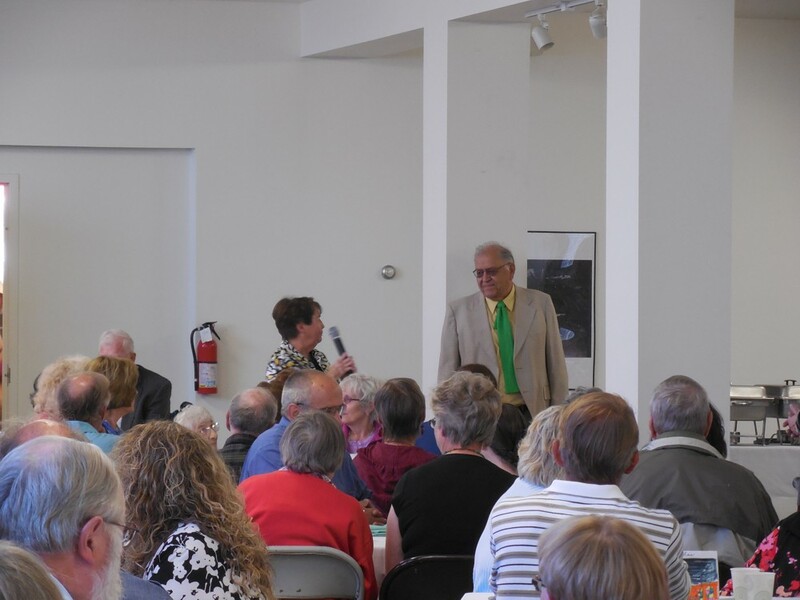 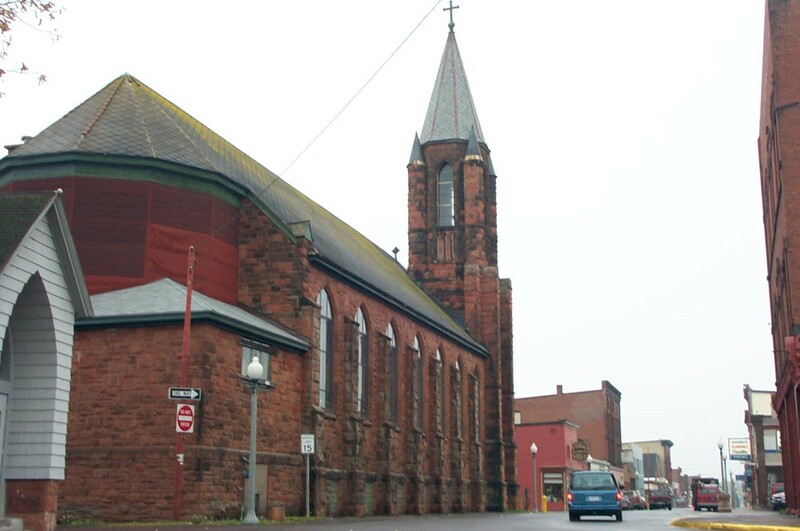 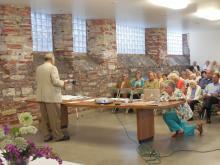 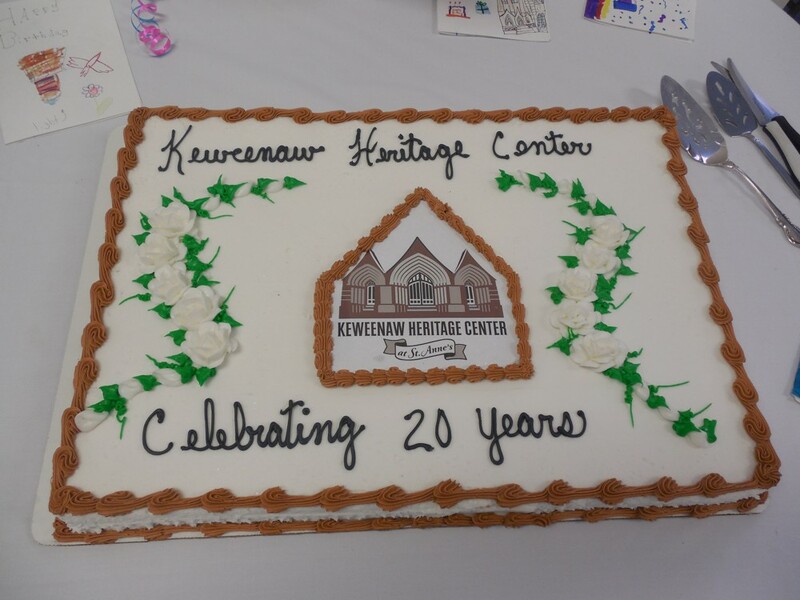 This gallery contains pictures of the Keweenaw Heritage Center and our 20th anniversary celebration in August 2014. Bob Langseth, assisted by board member Jean Ellis, give a presentation of how far the KHC has come in 20 years. 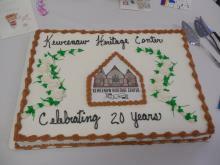 The first floor of the Keweenaw Heritage Center. 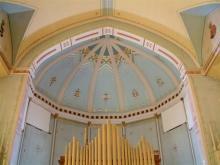 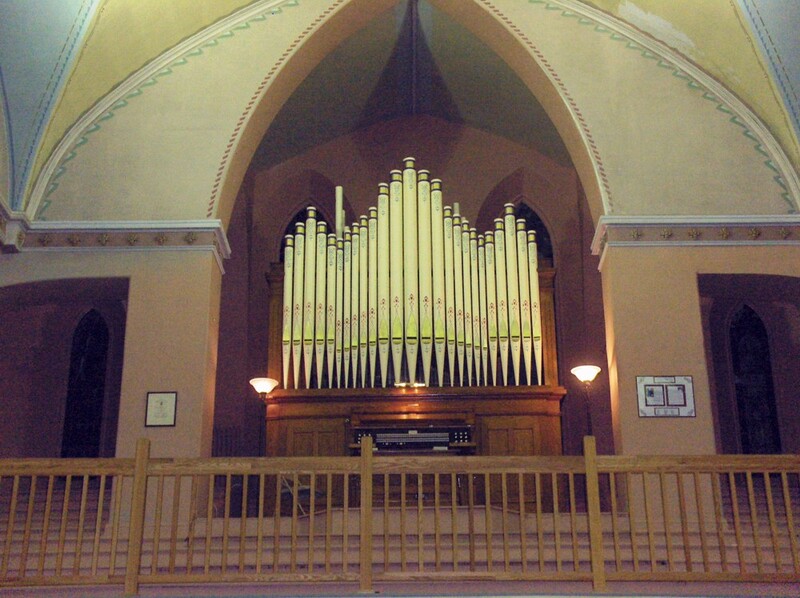 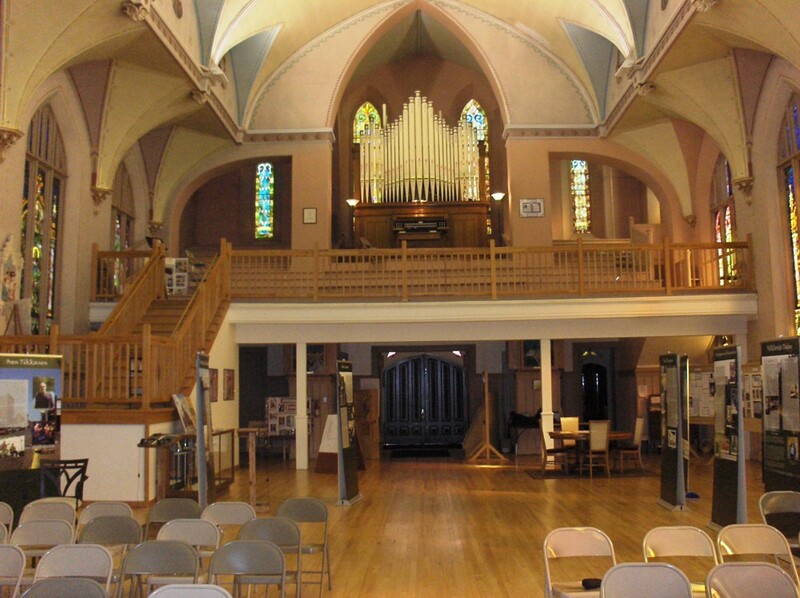 The organ in the choir loft of the Keweenaw Heritage Center. 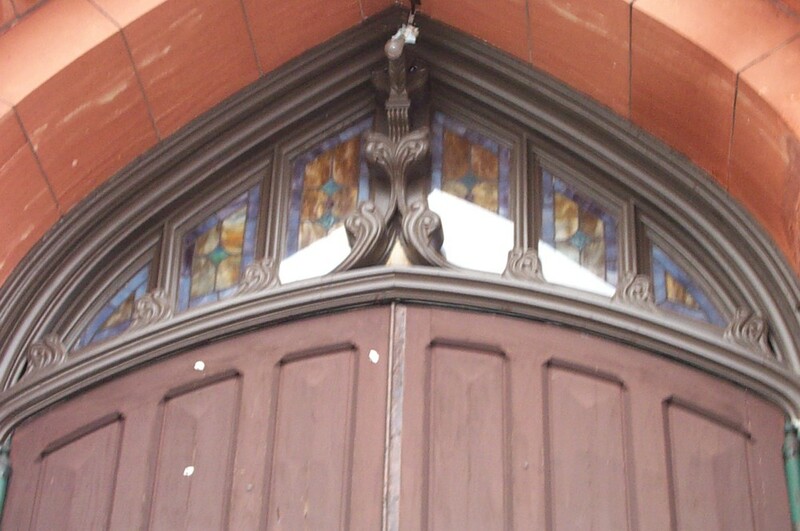 The stained glass windows above the main entrance doors to the KHC.